African Passages, online exhibition developed with the College of Charleston's Avery Research Center and UNESCO TST Sites of Memory Education Project, developed early 2000s. 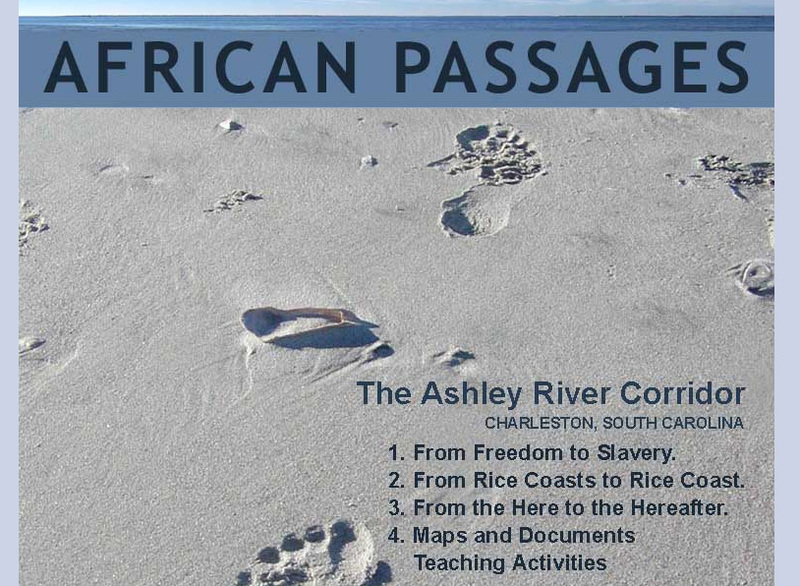 In the early 2000s, Jane Aldrich and Deborah Wright at the College of Charleston's Avery Research Center worked with Sylvia Frey to develop the original African Passages site as a UNESCO TST Sites of Memory Education Project. Lisa Randle with the College of Charleston's Carolina Lowcountry and Atlantic World program helped promote the site. This early version of the online exhibition focused on the history of African and African American slavery on rice plantations along the Ashley River Corridor in Charleston, South Carolina. Through funding support from the Humanities Council SC and the Gaylord and Dorothy Donnelley Foundation, the current African Passages, Lowcountry Adaptations project presents a redesigned and updated version of the original African Passages content, and expands the initial exhibition scope to address the history of slavery and the trans-Atlantic slave trade from the Atlantic World to Charleston and the South Carolina Lowcountry beyond the Ashley River Corridor. The goal of this exhibition is to provide regional, national, and international contexts for the history of slavery in the Lowcountry. Project developers also changed the title of the exhibition to African Passages, Lowcountry Adaptations to emphasize how slavery and the experiences of African Americans in the Carolina Lowcountry changed over time from the colonial to the antebellum periods.